IVF London is a private fertility clinic based in Elstree, with a dedicated and friendly team of experts. 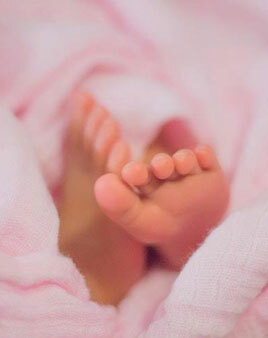 The clinic offers a wide range of investigations, treatments and fertility services. Crucially, core to the approach of the clinic is truly personalised care. Consultant Embryologist and Lab director, Alpesh Doshi founded IVF London after 20 years of practising clinical Embryology. Alpesh is passionate about having a direct influence on optimising patients chances of getting pregnant following fertility treatment. His vision stems from his passion to drive excellence and innovation in the field of assisted reproduction. Being one of the pioneers in egg freezing and genetic diagnosis of embryos. Alpesh is driven by an aim to be able to apply areas of cutting edge research and technology to optimise success rates. Alpesh is passionate about wanting to make a positive change in people’s lives and is always focussed on making the journey and experience more comfortable for patients during what is a very sensitive and stressful time for a couple. This philosophy is also the driving force of IVF London – each and every person who works with us receives a uniquely tailored and supportive approach. Everybody’s IVF journey is different, and we recognise that. Our team will work with you on every stage of your journey, from starting to growing your family. If you are trying to get pregnant and experiencing difficulties, you will already know how much of an emotional turbulence it can be. If you are thinking about getting pregnant, you may have many question, fears and worries. This is absolutely natural, and the good news is, there are many options available for you. When you decide to begin your fertility journey, you are making an incredible commitment to pursue a long awaited dream; to start a family. We are equally committed to making your dream a reality and we achieve this through our philosophy of personalised care. At IVF London, we understand that one of the most important factors when choosing a fertility clinic is that you feel comfortable, supported and at ease – both in the clinic and with the specialists who will be supporting you. You can find out more about our team on the website here. Our philosophy of personalised care ensures that everyone who comes to us for help receives comprehensive advice, evaluation and a world-class treatment program. You can find out more about the full range of treatments here. We tailor our treatments to you and also ensure that each person is supported at each stage by our dedicated team. No matter where you are in your IVF journey, we are here to help. Find out more about our support and services by giving us a call on 020 8207 4115 or booking in a free initial consultation.